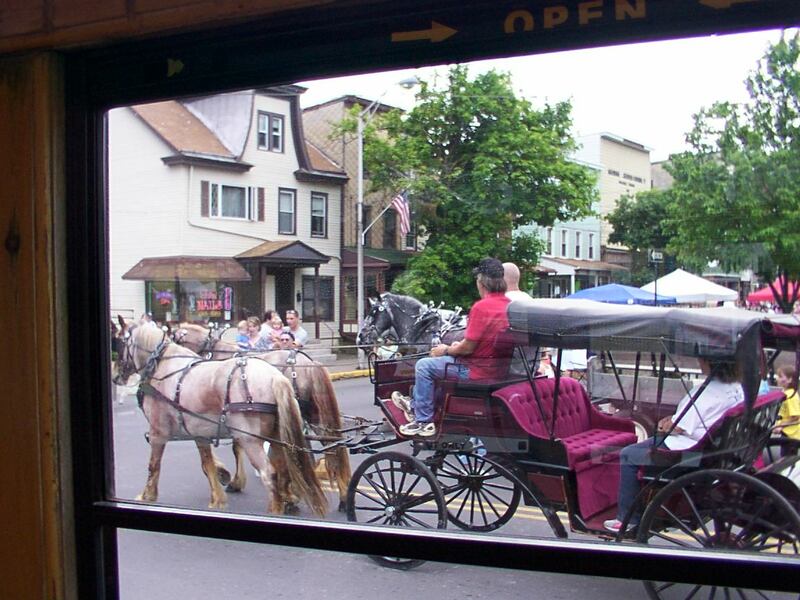 While horses made their way through the streets, and festival-goers milled about the vendors’ booths on Market Street yesterday, a red and white motorized trolley, a new one this year from Wellsboro, made stops at the corner every thirty minutes to take on new passengers for the historical tour through Shamokin and Edgewood. I arranged to take the 12:00 tour, and as I got on as soon as it arrived, I was able to take a number of photos before many passengers came on. 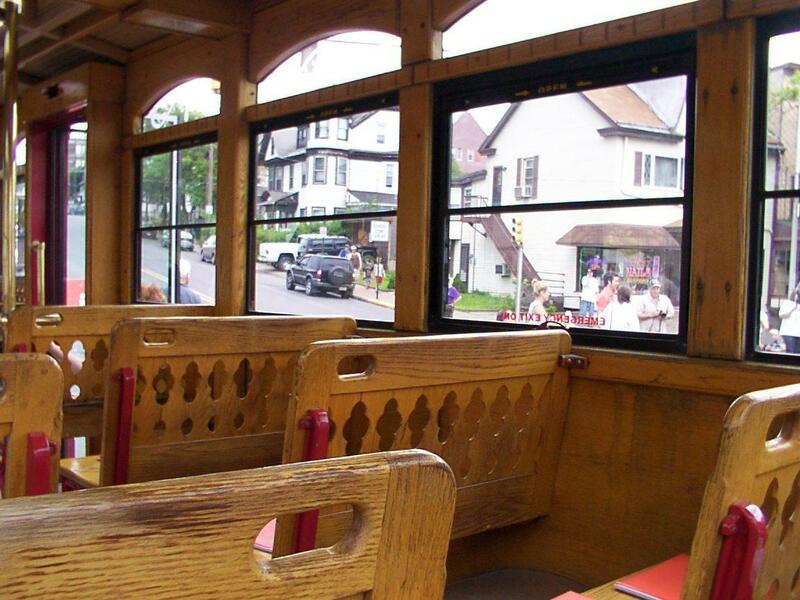 The trolley, which seats about twenty people, had a beautiful oak interior with brass accents and round ceiling lamps, and in the back a speaker played quaint haywagon-style tunes. Tour booklets were laid out on the seats, featuring old and new photos for stops on the ride. Certainly, this was the most fruitful, exciting, informative and simply amazing of the three annual Heritage Festivals I’ve so far attended. Starting with the 10:00 cemetery tour, moving on to a trolley tour of Edgewood at 12, interviews with the cemetery tour reenactors at 1:30, and finally a visit to the Anthracite Heritage Museum and adjoining military museum at the American Legion Building around 3, I made it a point to do and see as much as possible, and I have to say I definitely accomplished a lot! This is where I initially arrived to pick up tickets from the corner booth. 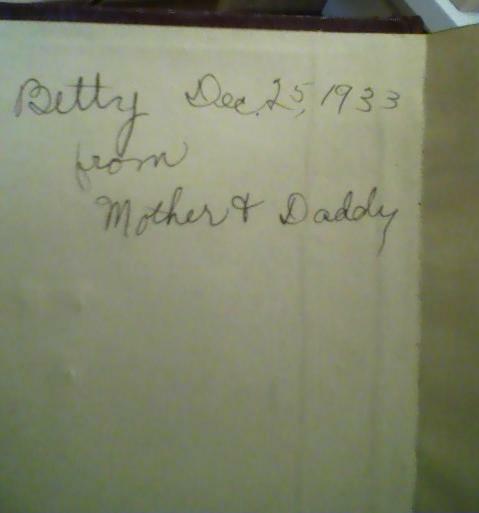 I then proceeded to the Shamokin Cemetery, where I came early to meet and talk to a few people. 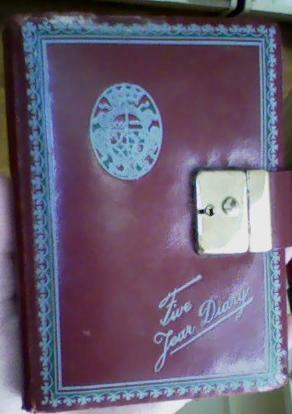 The tour was fascinating, and I kept my ears peeled for interesting quotes which I quickly scribbled in a notebook. Along the approximately one-and-a-half-hour tour, several stops were made, with commentary by event coordinator and guide Frederick Reed on numerous individuals of the distant and recent past interred in the cemetery, while reenactors also portrayed four prominent figures. Later on I’ll post a more detailed article about the tour, along with photos and a few comments from the participants. Although I only traveled on the trolley this year, it was pleasant to watch the buggy and wagon traversing downtown Shamokin every now and then–what was once, in the good old days, just a common sight. I also stopped by the American Legion Building before calling it a day. There, I visited the Heritage Museum (see my post from March for more information on the museum), and also happened to find my way into the military museum in the next room. 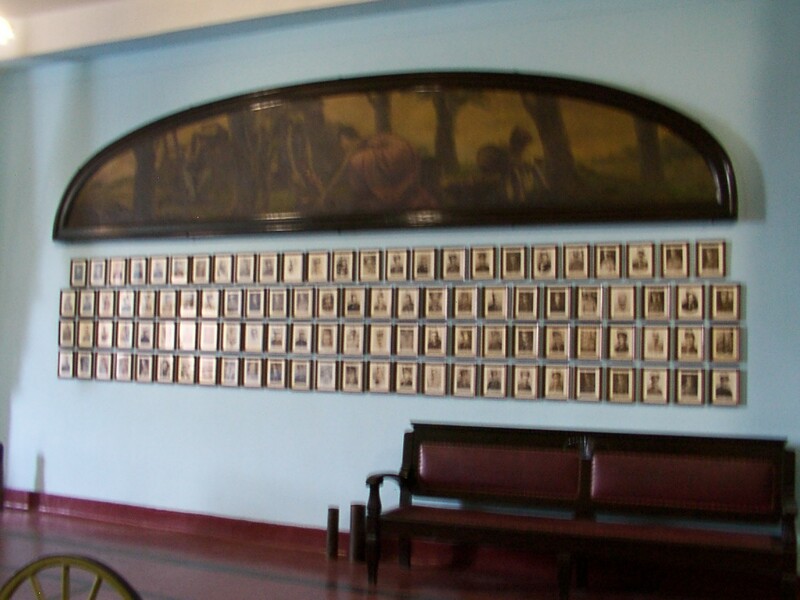 Elegant old furniture and paintings (one is visible in the photo below) adorned the spacious room, which held mostly photographs of local area servicemen from the Spanish-American War, WWI and WWII–and thankfully, nearly every one included an identification!–but also old books, scrapbooks and clippings. 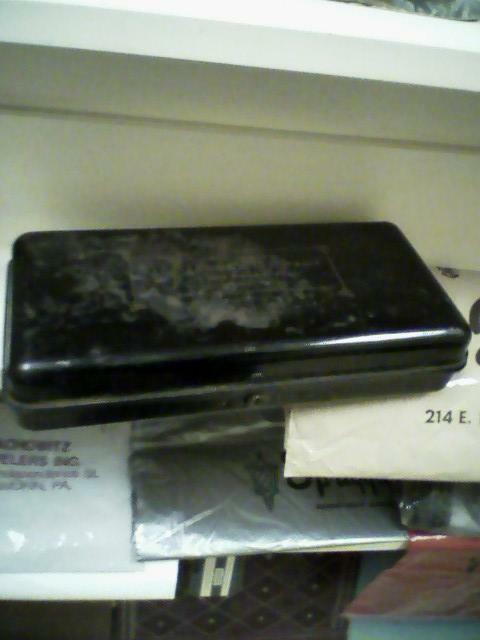 Unfortunately, one of my cameras was just about at its capacity, and the other one was home in rehab (recharging) from overuse, so I was only able to take one photo. However, the Heritage Museum, and, I’m presuming, the adjoining military museum as well, will be open tomorrow, so if possible I will visit there again for additional photos. 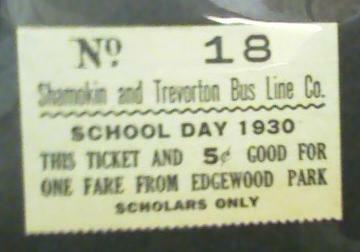 Next, I will be posting photos and information from the trolley tour, which went through Edgewood. Indeed, this was a great day, and I’m certainly glad I attended! An interesting article appeared in the News-Item today, about a “key to the city” that was presented at Shamokin’s 1939 Diamond Jubilee to a little girl, now 75, who has returned to bring the key back to the town of its origin. She tells the story of how she received the key in this article. Well, it’s that time again–the Anthracite Heritage Festival, May 22-23. Lately I’ve been absent from this blog again, but (hopefully!) you’ll be seeing a lot more of me this month. I won’t forget my camera this time ( 😉 ) so you can expect numerous photos of the festival action, even though they may be a little blurry from my cameraphone’s sheer ineptitude. That’s another thing I should take care of this year! This blog certainly needs a makeover, too. If you see anything out of whack for a while, that’s why. Mostly I’m changing the introduction page and adding a Profiles section with short biographies, document transcriptions and assorted information on significant individuals I’m researching. There may also be a Photos page with images of local landmarks and some old photos connected with my research. 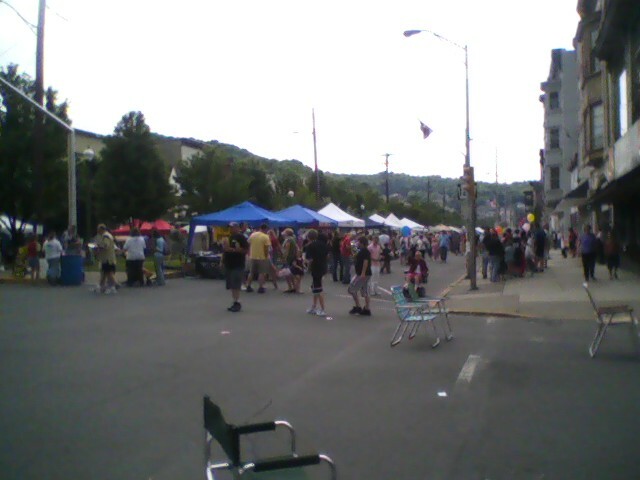 It’s certainly going to be a busy month, but I’ve been attending the Heritage Festival for almost three years in a row now, and I’m eager to share the excitement, history and local color of this wonderful summer event here in coal region Shamokin. Yes, a busy but memorable month ahead! Shamokin’s American Legion Building on Independence Street houses the Shamokin-Coal Township Public Library, the Anthracite Heritage Museum, the Lower Anthracite Model Railroad Club, and a gymnasium, among other establishments. On Monday, March 9th, however, it seems a floor sink in the gym upstairs was left clogged and the water running for several hours. Needless to say, this didn’t end well. When I visited the library Tuesday, the place smelled faintly of damp paper and all the tables on the main floor were covered with books standing on their edges with the pages fanned out and drying. At least, however, the damage was only in the back, and the historical materials and microfilm are nearer the front, untouched. The lights were all of course out in the fiction area, and in the semi-darkness I could see the shelves were covered with plastic sheeting. As I scrolled through the newspapers on the microfilm reader, seeking out an obituary to copy, cameramen from WBRE and–what was it? 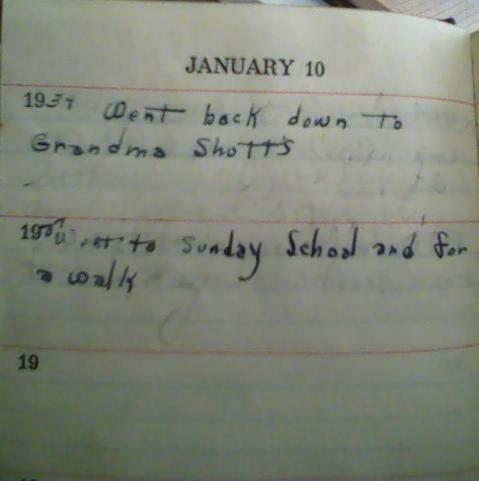 WNEP?–showed up, with the librarian escorting them around. (I swear I did not know there were going to be cameras when I came in!! Lol. :P) It was all very quiet, however, and I went on with printing the obituary. These two articles in the News-Item–Library Floods; Shamokin – C.T. Library Reopens After Flood–provide a full account of the incident and aftermath. Fortunately, the librarians say that although the damage is serious, it’s not quite as costly as expected, and many of the books are salvageable. It isn’t known yet whether the clogging of the sink was deliberate, or simply idiotic. Speaking of quiet, I figure I will also mention the council meeting, since it’s the first I’ve attended. It took place in a large room on the second floor of the Lincoln Street City Hall, and though I won’t go into details, let’s just say it was docile. All the councilmen and councilwomen agreed unanimously on every issue brought forth, and the first order of business was to take a break. But I suppose that’s all a good thing–we don’t argue in this town! However, one important issue that came up was the Knights of Columbus Building on Independence Street. This was a place that was supposed to be erected some months ago after the original K of C building was damaged in a roof leak or something, and part of the ceiling collapsed (don’t really remember when that was). However, the new, unfinished building also collapsed quite suddenly in January when all four walls simply fell into a heap, scattering debris onto the sidewalk. To this day, the sidewalk is still inaccessible. Cleanup hasn’t even been attempted, and it seems the contracting company can’t be communicated with. K of C people say the contractors have 15 days to get moving, but if they don’t, cleanup will still definitely happen within 30 days.